The fact that winter racing is fast approaching hit Chris Merz hard Thursday morning. Merz, a native of San Diego who became the Maryland Jockey Club's racing secretary in July, woke up to an inch of snow and a winter storm warning. Laurel's been hit with some heavy weather this fall. The racing office lost nearly 70 percent of its turf races in September, 64 percent in October, and is unlikely to run over the grass in November. Despite the loss of turf races, Laurel's handle is still up for the year and has had two $4 million days in October and its best Maryland Million Day in 11 years. And despite Thursday's morning snowfall, Merz is optimistic about the winter. Trainer Jeremiah Englehart has shipped to Laurel. 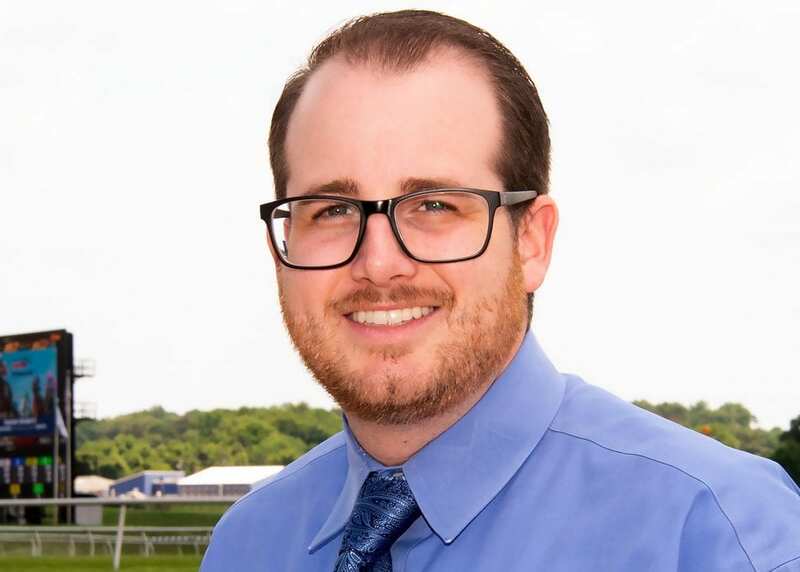 And with a directive from management to fill the 400 barns at Pimlico this fall, Merz and the racing office have brought in horses from the stables of Ben Perkins, Bruno Tessore, Miguel Vera, Scott Lake, Justin Nixon and Manuel Ruiz. “It's a good step, a positive direction here at Laurel,” said Merz, who added there might be some changes come the 2019 stakes schedule. “One thing I did in August was make a trip up the East Coast to Delaware, Monmouth and New York,” he said “Horsemen said they didn't have anything to point to here because it took a while for us to put the stakes schedule together, so our main focus was getting a stakes schedule out that carried through the summer and into the fall. Right now we're working on one through October 19. This entry was posted in The Biz and tagged chris merz, laurel, laurle park, Maryland, Maryland Jockey Club, Maryland Million, pimlico, preakness, stakes, stakes schedule, tesio day by Press Release. Bookmark the permalink.